The new edition of this influential and bestselling book is concerned with how people come together to achieve a productive purpose. Survival and success in business and social terms have always depended upon our ability to form and sustain social organisations. People have a deep need to be creative and to belong. By creating positive organisations we can fulfil these needs and build a worthwhile society. One of the failures of organisations is precisely the lack of efficient and effective social organisation, which is what this whole book is about. Poor social organisation, including poor leadership, are major drivers of poor productivity and lead people to give up or retreat into a minimalist approach of just doing what is needed to get by and survive. 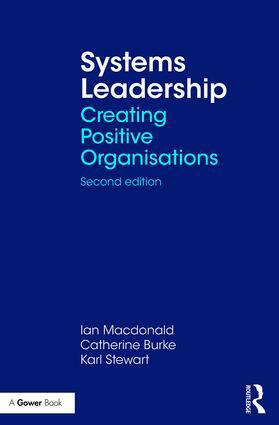 The authors provide a language for developing, discussing, thinking and working with propositions about organisations and management. They do not tell you what decision to make but rather present tools to help you consider, analyse and predict the consequences of your decisions. This new edition is much broader in its application areas – public, private and not-for-profit sectors. It contains new models and propositions with regard to types of social organisation, domains of work and the nature and use of authority. It contains a range of new case studies, and throughout looks at how these ideas can be used to achieve an organisation’s purpose while encouraging creative working. It is not a book about fads or fashion but an integrated approach that offers the user the benefit of foresight. Part 1: Systems Leadership: Why the Title? Chapter 1 What Use is Theory? Chapter 2: What is Work? Chapter 16 The Process of Successful Change: How is it Achieved? Chapter 20 So What? What difference has this Made? Dr Ian Macdonald is Founder and Director of Macdonald Associates, an international organisational consultancy. He is a director of BIOSS International Ltd. He is also an honorary fellow at Brunel University, teaches at Surrey Business School and works with NHS Wales and Welsh government. Dr Catherine Burke was Associate Professor of Public Administration, University of Southern California. Her research focuses on organisation and systems design, management theory and leadership. She has been a consultant to Southern California Edison, the cities of Los Angeles and Pasadena, and the Congressional Office of Technology Assessment. Her publications include Innovation and Public Policy, and articles in various academic journals. She was a director at Commonwealth Aluminum. Karl Stewart is a mining engineer spending most of his working life in leadership positions. He spent four years as an internal managerial consultant developing a thorough understanding of the theory underpinning the leadership of people in organisations and the systems that facilitate that activity. He implemented these ideas as Managing Director of Comalco Smelting.